Today’s post is all about the pictures. And a few words. 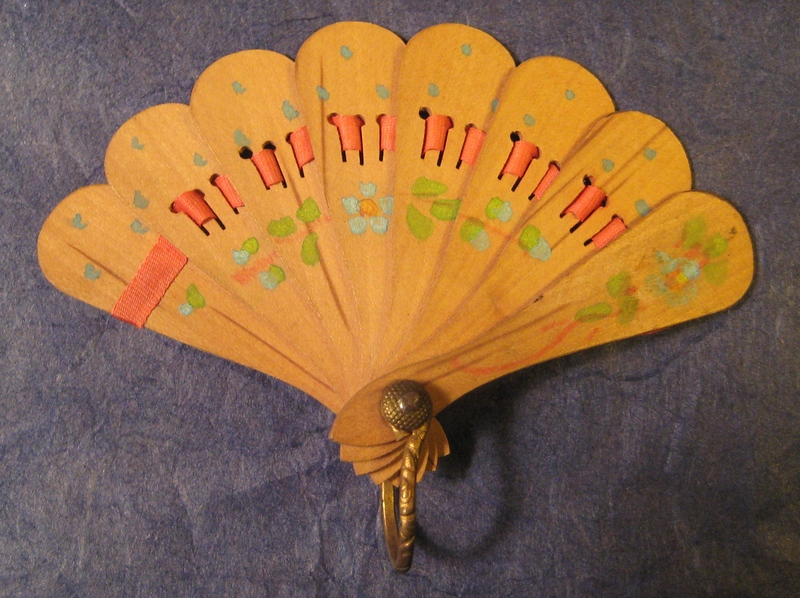 Wood, hand-painted fan with orange silk ribbon. Purchased at Paris flea market. I tried to barter, but my shaky french didn’t help. 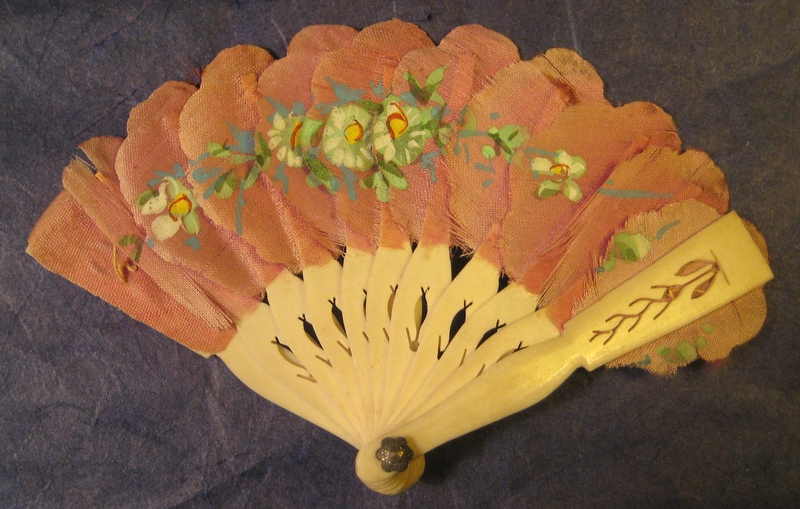 Faux ivory fan with hand-painted silk leaves. Two pairs of doll-sized kid gloves. 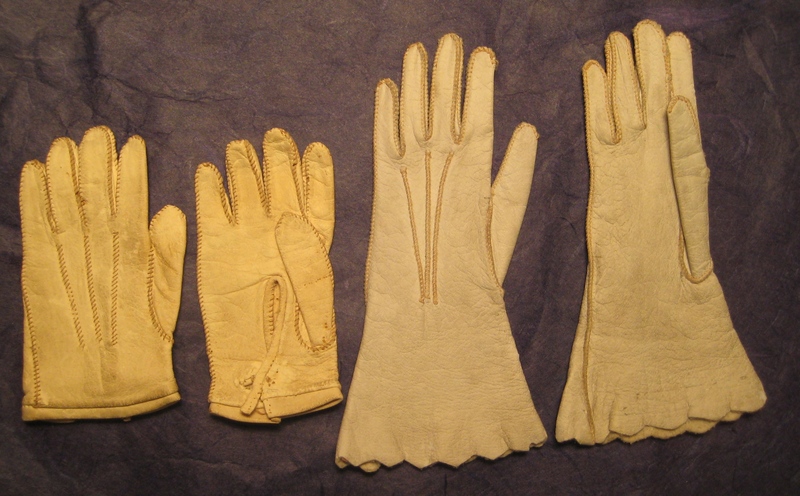 Ivory short pair (L) and pale BLUE with gauntlets (R). 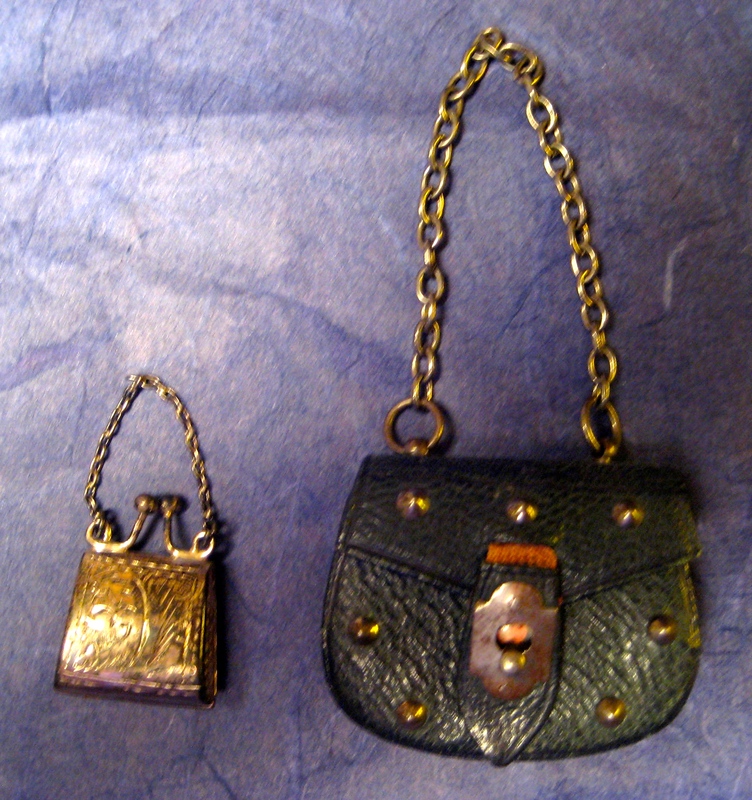 Silver (tarnished) tiny purse (L) and green studded leather purse (R). 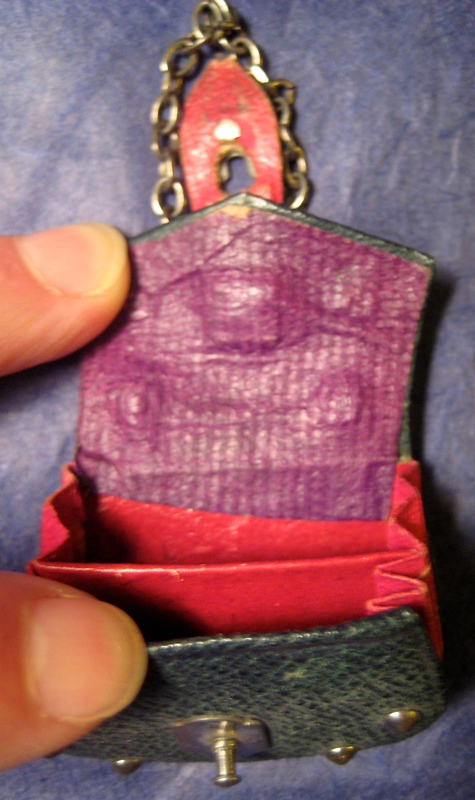 Pleated interior of green purse, lined with purple paper and red kid. 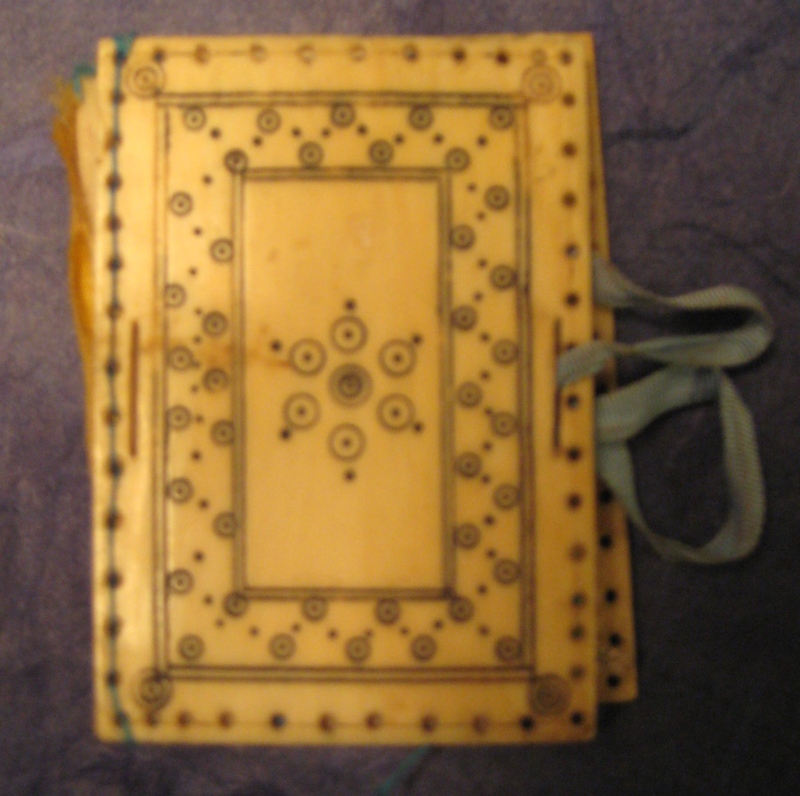 Tiny photo album, usually called a fairy album. Ivory(?) 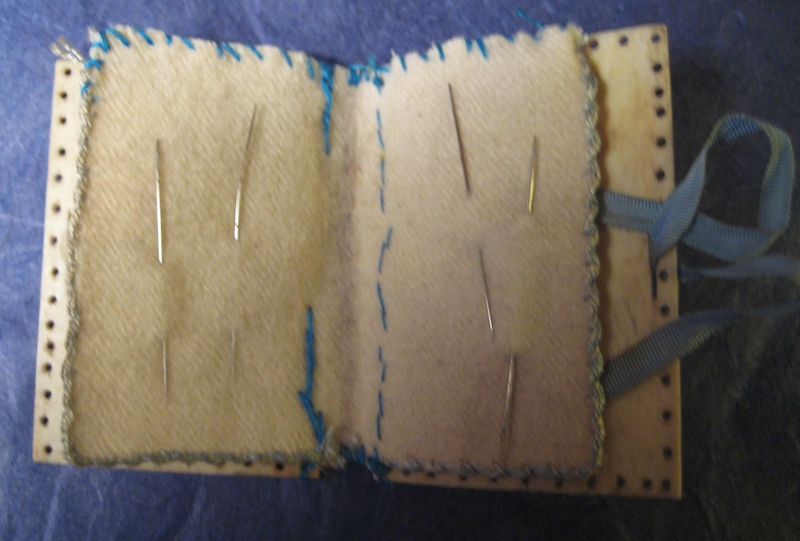 needle case as FF book. 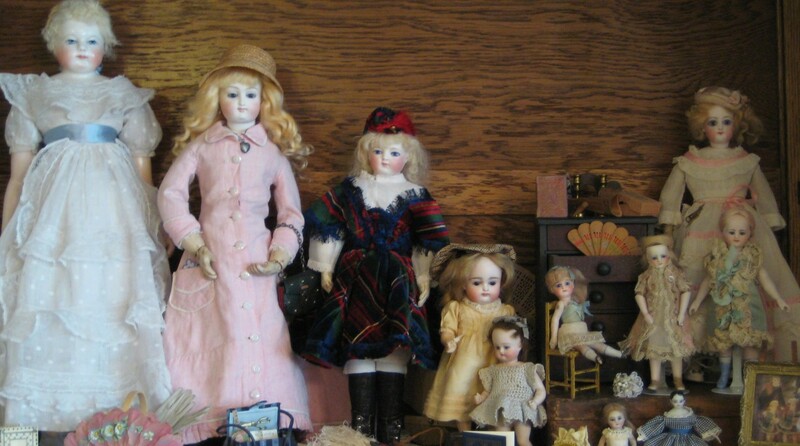 They also own some new and reproduction stuff and a lot of dogs. I’ll share them soon. so pretty! That Fairy album is amazing with what looks real (?) photos inside. 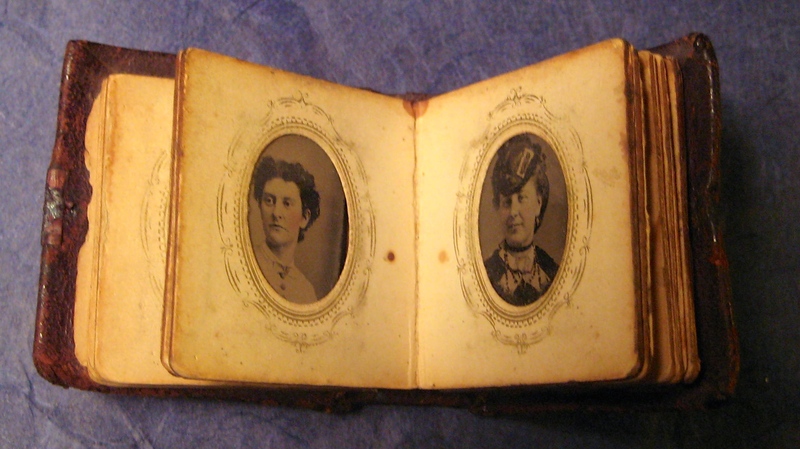 Yes they are real tintype photos. 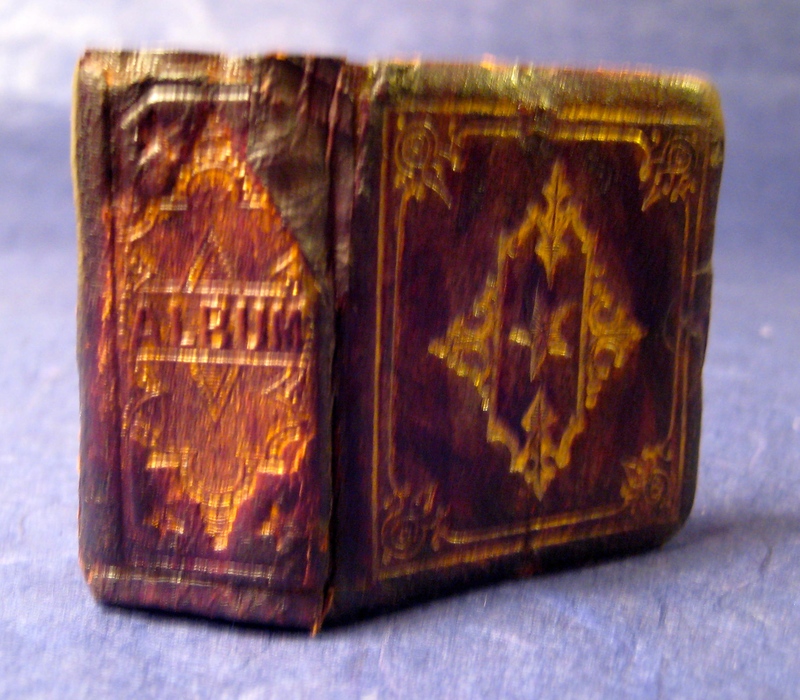 You can often find fairy albums at antique shows. Mine measures about 1 3/4″ square by 7/8″ thick.